Compact, simple, two-way satellite communications using proven technology and relatively affordable subscription options. The Somewear Global Hotspot is one of the smallest devices two-way satellite communications devices available. It requires your smartphone to operate, which may be a drawback to some but a non-issue to others. It uses the same satellite network as our Editors' Choice and uses the same SOS dispatch service as all but a few devices in the review. (The others use government-monitored networks.) 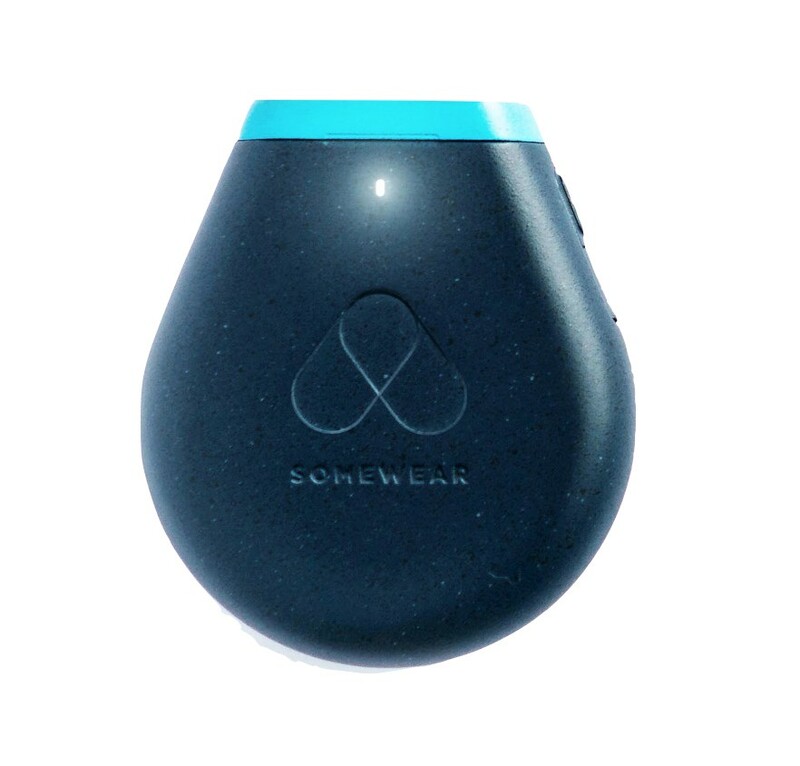 In short, the Somewear is a new product that uses a familiar formula. What really sets it apart is that its subscription plans are at least a little less expensive than other options. The Global Hotspot from Somewear was released late in 2018, and we made sure to test it thoroughly. We are happy to report that it truly complements the options on the market. Most notably, it brings two-way wilderness messaging to a new level of affordability. Because it's hard to compare subscription plans, the savings aren't immediately obvious. When you ponder how these devices will be used, the Somewear Global Hotspot is at least a little less expensive than any other two-way texting device. It therefore earns our Best Buy award. The Ocean Signal rescueME PLB1 still takes a Best Buy award for rock bottom emergency messaging affordability, but the Somewear Hotspot is the affordable option that includes messaging. In our scoring matrix, a rubric designed to reflect how these devices serve consumers in a number of capacities, the Somewear Hotspot comes out near the top of the heap. Only the class-leading equipment from Garmin exceeds the capability of the Somewear Hotspot. The Garmin InReach Mini is our Editors' Choice because it is even smaller and lighter than the Somewear and it has controls on the device itself that allow for rudimentary messaging without your phone. Choosing the Hotspot over the InReach Mini will save you a few dollars, but you'll be taking a chance on the seemingly reliable newcomer, and sacrifice some usability with the Best Buy Somewear Hotspot. Everything about two-way satellite communications can make your remote expeditions easier. Using the Somewear Hotspot for routine check-ins, weather forecasts, and as an emergency backstop really smooths the process. Somewear configures the Global Hotspot for SOS functionality with an on-device button, the Iridium network, GPS location data, and a third-party monitoring and dispatch service. In our testing, thankfully, we did not activate the SOS service of the Global Hotspot. We did not activate the SOS service of any of the tested devices. All of our reviews of these attributes are based on a thorough understanding of how they work. We also consulted with SAR teams across the USA. In short, we can confidently recommend the SOS functionality of the Global Hotspot. The governmental, global "COSPAS/SARSAT" network of satellites and associated dispatch service is the best option. Of the systems available, this one has the most robust set of data supporting its functionality. The other two networks available Iridium and Globalstar, route messages through GEOS global dispatch and monitoring service. GEOS is a for-profit entity that provides emergency dispatch services in a variety of contexts. Their track record is long, and their performance is sound. The Somewear Hotspot uses the GEOS emergency service. The InReach, Spot, and BivyStick devices also use GEOS. In this way, all these devices and associated services are essentially the same. The SOS button one the Global Hotspot is hidden under a plastic flap and requires a very long press to activate. We like it. The Global Hotspot allows two-way texting from remote areas via an app on your phone. Messages can be sent either to email addresses or to phone numbers as standard text messages. If the message recipient is registered with Somewear, even if that recipient is not using a Somewear device, messages go to and from their Somewear App or web interface. The Global Hotspot also has rudimentary tracking service. It sends out your location, automatically, every 30 minutes. There is no option for preprogrammed outbound messages, nor is there any way to send a non-emergency message without your app-enabled phone. Interestingly, and uniquely, you can also send and receive Somewear messages through cellular data or wifi. When your travels take you in and out of civilization, it is nice to keep a conversation thread intact across connectivity types. The non-emergency messaging attributes of the Global Hotspot are not the most sophisticated, but they are better than nothing. By providing two-way, non-emergency messaging, the Global Hotspot exceeds the abilities of the Ocean signal rescueME PLB1 and the SPOT Gen3. The Hotspot and the SPOT X are fairly close contenders, in terms of non-emergency messaging. They both offer two-way messaging and only one method of viewing and composing texts. With the SPOT X, you send messages from the device itself. With the Global Hotspot, you send and receive messages via a smartphone app. We prefer having both methods on one device, but the budget price of the Global Hotspot has us overlooking this limitation as we grant our Best Buy award. The Somewear is essentially tied with the BivyStick but is exceeded by both InReach contenders. Both the InReach Explorer and the Mini offer shorter tracking intervals and more message viewing and composition options than the Global Hotspot. The Somewear Labs Global Hotspot looks more like a fancy breath mint container than a paradigm-shifting satellite communicator. The Global Hotspot uses the Iridium low earth orbit satellite network. This network is the best option available for two-way communication and world-wide coverage. That said, all satellite communications are vulnerable to temporary outages and issues with overhead obstructions. The Global Hotspot is not exempt from these issues. The BivyStick, InReach Explorer, and Editors' Choice InReach Mini also use the Iridium Network. In testing, we found no statistically significant difference in messaging reliability and speed between the different Iridium-enabled devices. The ACR ResQLink and other Best Buy OceanSignal PLB1 use a global network as well. 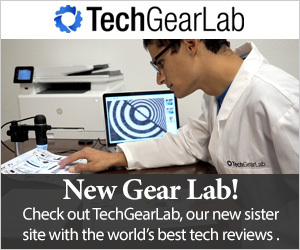 The SPOT brand devices use the Globalstar network, which does not provide truly global coverage. We were initially blown away by the Somewear's transmission times in our trials. It wasn't until we realized that the app employs wifi or cell signal anytime it can that we understood why this was so fast. We turned off our wifi and cellular data and also tested from more remote areas. We found positive results. The Global Hotspot is very easy to use. Essentially all of its functions are accessible via an intuitive and simple mobile phone app interface. This simplicity is valuable but limiting. In certain situations, we wanted the option to send a message from the device itself. Otherwise, we found the Global Hotspot quite easy to use. Other reviewers have pointed out that the Somewear has shorter battery life than the InReach Mini. We didn't notice an appreciable difference. In our testing, we had no issues with battery life. On short trips our testers have good electronics use habits — i.e., we turn off our devices when not in use. On longer trips (more than 2-3 days or so) we carry more battery power or solar charging options. The modern wilderness traveler needs good electronic and battery use habits, regardless of which devices you carry. No two-way messaging device we tested simpler. Of course, for emergency only communications the other Best Buy OceanSignal PLB1 is way easier to use. It has just one button for SOS summons. Without phone app complications the Spot Gen3 is pretty dang simple, but it doesn't allow customized messaging nor does it receive any messages. The SPOT X does all that the Global Hotspot does, but does it only on the device itself. The InReach devices offer more functionality. With the option to view and send messages from phone app and from the device itself, the InReach Mini is more versatile and therefore, overall, easier to use than the Global Hotspot. Testing signal reception was as simple as doing some texting. Basically, we confirmed that the Global Hotspot uses the proven Iridium Network to maximum effect. Portability is simply a function of size and weight. The Global Hotspot is on the small and light end for a two-way messenger. It weighs 4.1 oz and has a is 3.6 inches long. The rescueME PLB1, SPOT Gen3, and Editors' Choice Garmin InReach Mini are all slightly lighter and smaller than the Global Hotspot. The GoTenna Mesh is about half the size and weight of the Hotspot. Of these, though, only the InReach Mini is comparable in function. The others all do far less than the Hotspot. The otherwise very similar BivyStick is somewhat bigger and much heavier. It is the Somewear's smaller size that really pushes it ahead of the Bivystick. Somewear Labs equips the Global Hotspot with this elastic keeper. We strongly caution you against relying on this. Emergency equipment should be stowed securely inside your pack, not bungeed anywhere on the outside. Cut that string right off and forget about it. With more and more reliable two-way communication options, one now needs a real good reason not to carry two-way, text-based communication equipment into the wilderness. The Somewear brings this service to a slightly lower price point in a form that is handy to carry everywhere. The Somewear Hotspot has some quirks that make the InReach Mini a better choice overall, but the Somewear is your budget consideration. Depending on how you use it (and therefore how you choose to activate it), the Somewear can be a fraction the cost of the InReach Mini. Here are the new and award-winning communication devices we tested (from left to right): the BivyStick, SPOT X, Somewear Labs Global Hotspot, Ocean Signal rescueME PLB1, and InReach Mini. Assessing the relative value of personal locator beacons and satellite messengers is a bear of a task. We've poured hours of work into a comprehensive and up-to-date chart that collates hardware and subscription options. When we crunch the numbers, the Global Hotspot is the best value option if you want two-way text messaging in the wild. The Initial purchase price is essentially the same as other options, but the subscription plans for the Global Hotspot are among the least expensive. For annual activation and low-volume use, Somewear has the least expensive plan full stop. Their "Plan Ultralight" allows you to set it up, forget about it, and use it periodically for routine check-ins from occasional adventures. This is how most weekend warriors will use their device. After five years of this type of use, it is at least $100 cheaper than the next closest competitor and is less expensive than using the SPOT Gen3 in a similar way. (The Spot Gen3 doesn't allow two-way texting nor does it work with your smartphone.) If you use the Hotspot once a year for five years. It will cost a total of $425 (as of February 2019). That is the least expensive way to get plenty of check-in messages and a few texts back and forth. The Bivystick will do roughly the same thing for just a little more money. Arranging for a pick up from remote expeditions is so much easier with two-way texting. Here, at the end of a two-week Chilean ski traverse, we were able to arrange our ride across language barriers and wilderness seclusion, thanks to satellite communications. We know that shopping for these devices is a complicated task. Essentially, all wilderness travelers with budgetary restraints should choose the Somewear Hotspot while the rest would do better to aim for the Editors' Choice InReach Mini.